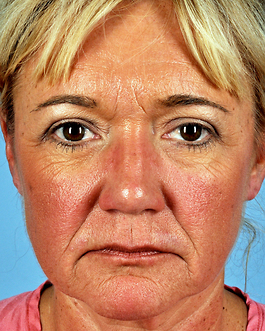 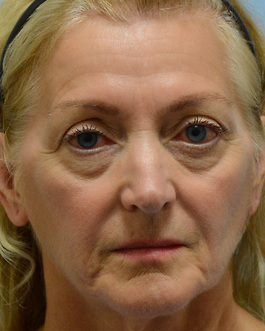 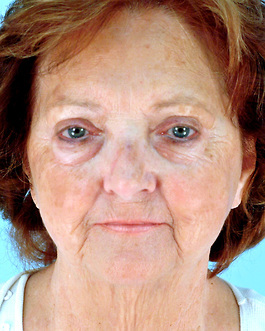 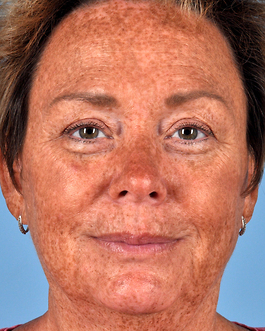 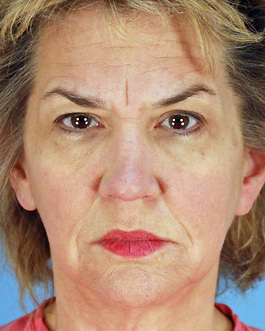 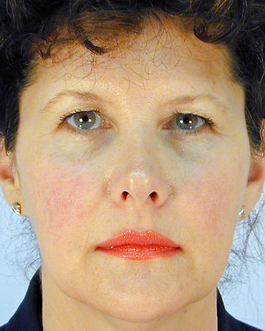 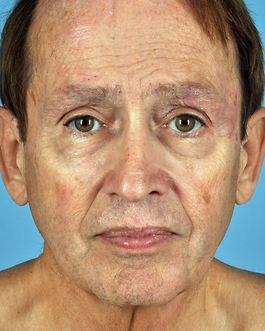 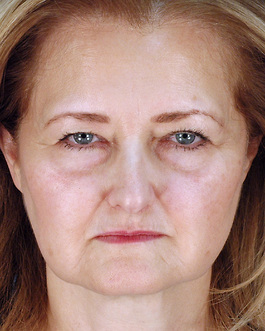 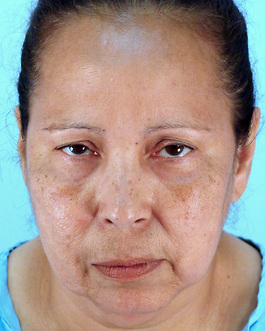 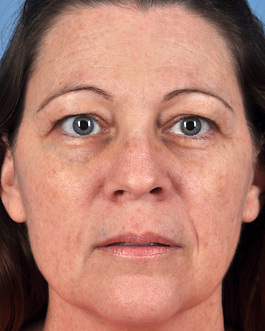 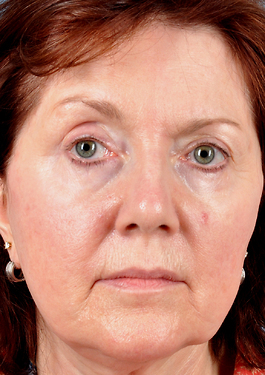 This 64 year old Virginia Beach woman had a facelift 20 years ago. 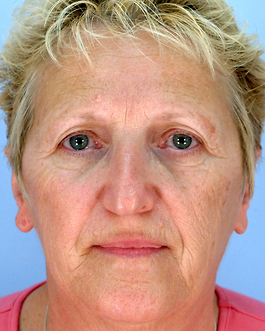 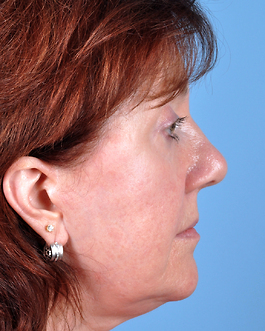 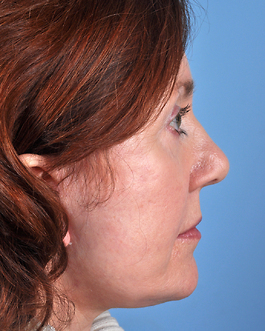 She explained to me during our consultation that she feels bothered by the return of sagging to her cheeks and neck. 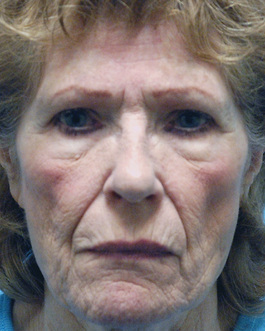 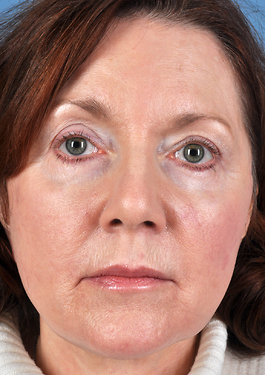 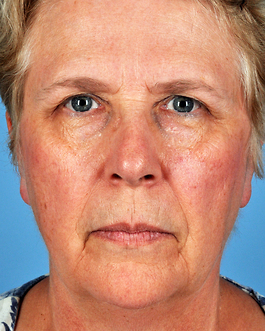 She would also like to see improvement to her frown lines and eyelids. 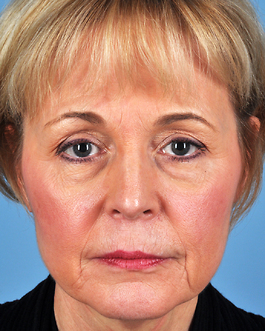 There have been major advancements in facial cosmetic surgery since her last procedure and she could benefit from these in many ways. 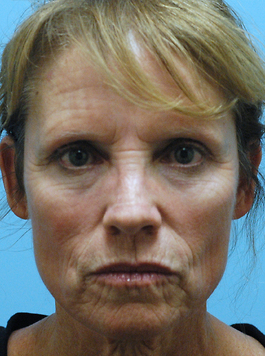 Along with her facelift, we will be able to restore volume in her face by plumping with her own fat for a much more natural and rejuvenated look. 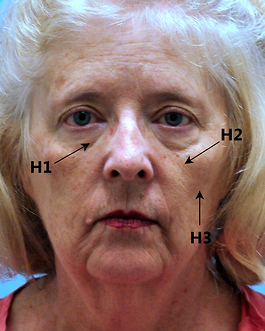 This is the greatest advance in plastic surgery of the past 20 years: meticulous placement of one's own fat in as many as 30 or 40 places around the face. 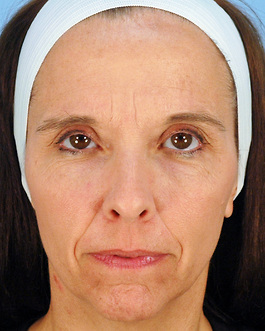 Most of it will be there the rest of her life. 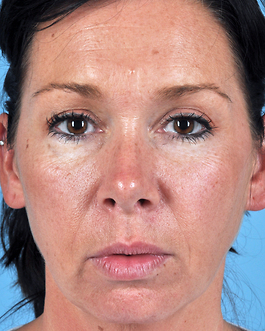 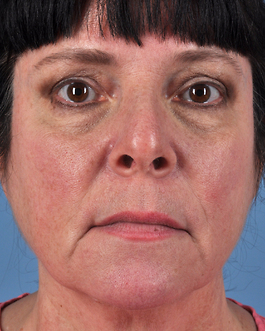 Photos help show the change but it is appreciated much more in person, a three-dimensional contouring that greatly enhances the lift of a facelift. 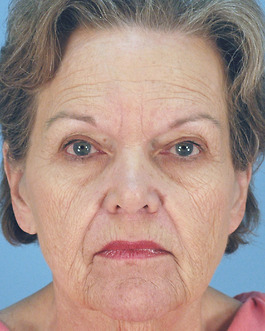 A few months following her surgery, this Virginia Beach patient visited her dentist and completed her paperwork listing her age as 64. 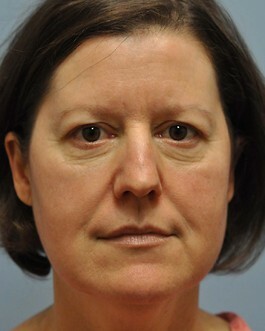 The receptionist was shocked at this because she told the patient she looked like she was in her forties!